NASHVILLE, TN – Centennial Park holds a special place in the history of Nashville and the hearts of our community. From providing a natural environment for Nashvillians to congregate, recreate and relax to its origins as the site of the 1897 Tennessee Centennial Exposition, the park represents an important community meeting place and is culturally significant to our growing city. 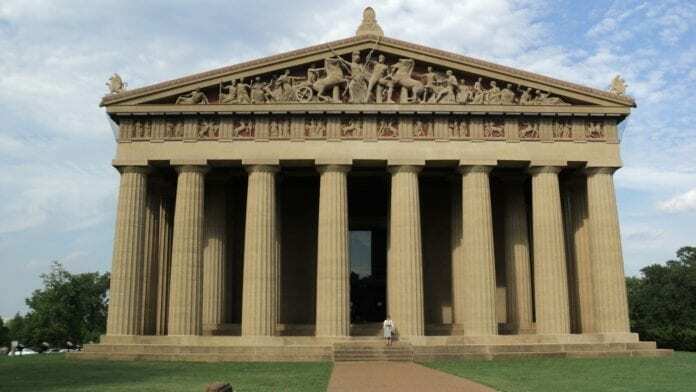 To honor Centennial Park’s rich and diverse history, The Conservancy for the Parthenon and Centennial Park will present Wade in These Waters on October 10 from 5:30 – 7:30 PM. The event will be held at the Centennial Arts Center on the site of the park’s former segregated swimming pool. 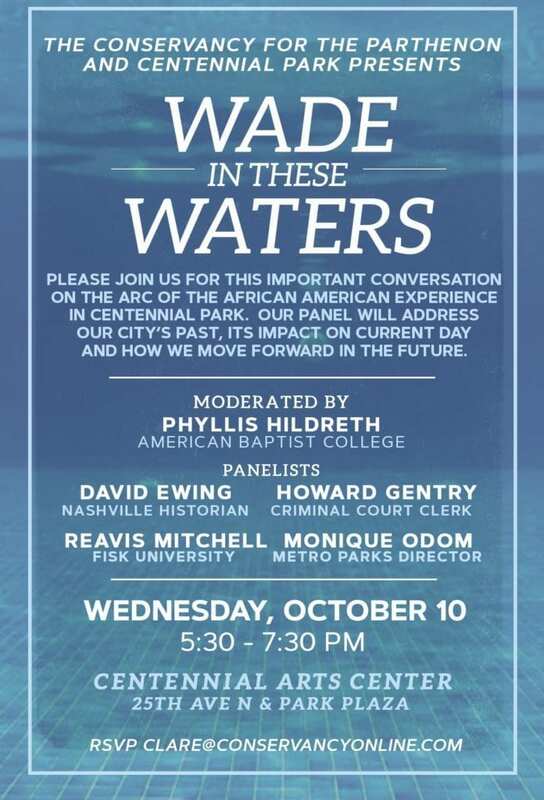 Conservancy Board member and highly-respected Nashville leader, Phyllis Hildreth will moderate the discussion with Nashville historian and attorney David Ewing, Criminal Court Clerk Howard Gentry, Fisk Dean of History Dr. Reavis Mitchell, , and Metro Nashville Parks Director Monique Odom. ”Recent park renovations have unearthed the long buried Cockrill Spring and have paid tribute to our women’s suffragettes. The Conservancy’s “Wade In These Waters” program is the start of a conversation to recover and reconnect the broken strands of Nashville’s civil rights story,” said Phyllis Hildreth of American Baptist College. The panelists will discuss various experiences including when the city closed and later filled in the public swimming pool at Centennial Park rather than integrate. What is now the art center was once the most popular public pool in the Nashville area. The official explanation given for the closing of this and other city pools was the lack of funding. However, civil rights demonstrations were in progress at the time, and it is the opinion of some that Mayor Ben West and the Park Board ordered the pools closed in the 1960’s to avoid the protests and other disturbances that had occurred in other cities when swimming pools were integrated. Panelists will explore this and many other important stories surrounding our venerable park and the part that Centennial Park has played in Nashville’s social justice. Although admission is free, reservations are requested. Please contact Clare Robbins at clare@conservancyonline.com or 615-862-6810.